The tough guy might yet rein in drones. And steer the CIA away from covert ops to intelligence collection. Were you a terrorist or member of Al Qaeda, you wouldn’t want to meet John Brennan in a dark alley. He’s an Irish tough guy, and he doesn’t apologize for wanting to obliterate Al Qaeda. For four years, as Obama’s top adviser on counterterrorism, that’s been his job. And in that job, he’s used drones freely to strike both leaders and members of Al Qaeda and related groups, including the Pakistani Taliban and Al Qaeda in the Arabian Peninsula (AQAP). Often, innocents have died. But Brennan may surprise us. There have been scathing reviews on the left of Brennan’s role in the Obama administration, such as the one by Marcy Wheeler on Democracy Now!, in which she accused Brennan of being “Obama’s Cheney,” a “proven liar,” a supporter of torture, and more. The Democracy Now! piece included a clip of an intervention against Brennan by Code Pink, whose Medea Benjamin lashed out at Brennan over the drone assassination program. But maybe, just maybe, John Brennan won’t be a bad CIA director. In 2008, as Obama’s chief adviser on intelligence matters during the campaign, Brennan was in line for the CIA job back then, and he didn’t get it because of widespread accusations, not necessarily accurate, that he supported torture during the George W. Bush administration. 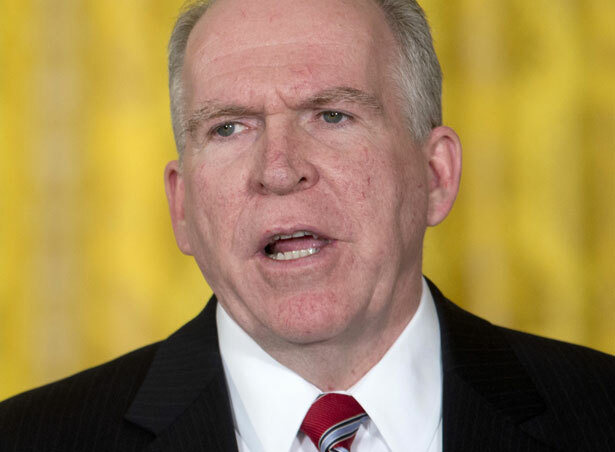 As a long-serving CIA officer, then as head of the National Counterterrorism Center, Brennan may or may not have objected to the use of waterboarding and other violent techniques, and it would be useful to question him on this topic during his confirmation hearing. But to say that Brennan was a supporter of torture, and that such a history disqualifies him to serve at the CIA, is an accusation without proof. Brennan is leading efforts to curtail the CIA’s primary responsibility for targeted killings. Over opposition from the agency, he has argued that it should focus on intelligence activities and leave lethal action to its more traditional home in the military, where the law requires greater transparency. It’s important to note that for 20 years there has been an increasing tendency to put generals and admirals in key U.S. intelligence positions, and that Brennan replaces General David Petraeus at the CIA. De-militarizing the CIA is an important reform, and perhaps Brennan is a key step in the right direction. Fortunately, for more than a year, due to our discretion and precision, the U.S. government has not found credible evidence of collateral deaths resulting from U.S. counterterrorism operations outside of Afghanistan or Iraq. Over at Foreign Policy, Micah Zenko takes Brennan to task on drones, citing seven point-by-point examples of where Brennan deserves to be questioned. To be sure, as the White House’s counterterrorism chief and as a spokesman for the administration, Brennan has no choice but to defend the administration’s policy of carrying out a global drone warfare program. And he’s played a coordinating role in that program until now, with the White House and the president himself directly involved in selecting and approving drone targets. But the question is: What are his private views? And will he now restrain the CIA? In a letter to Brennan, Senator Ron Wyden says that he wants answers about the administration’s legal justification for killing American citizens via drone attacks. Brennan’s confirmation hearing will be held February 7. That should be seen as an opportunity to get answers to all these questions, on the record. Tom Hayden wrote about proposals to reform the drone program—and why Congress must push them through—in his latest article.